Click the admin dropdown and choose “Atlassian Marketplace”. The Manage add-ons screen loads. Click “Find new add-ons” from the left-hand side of the page. Locate “AgileMinutes for JIRA” via search. The appropriate add-on version appears in the search results. Click „Buy now“ to purchase a license for AgileMinutes for JIRA. You’re asked to log into MyAtlassian. 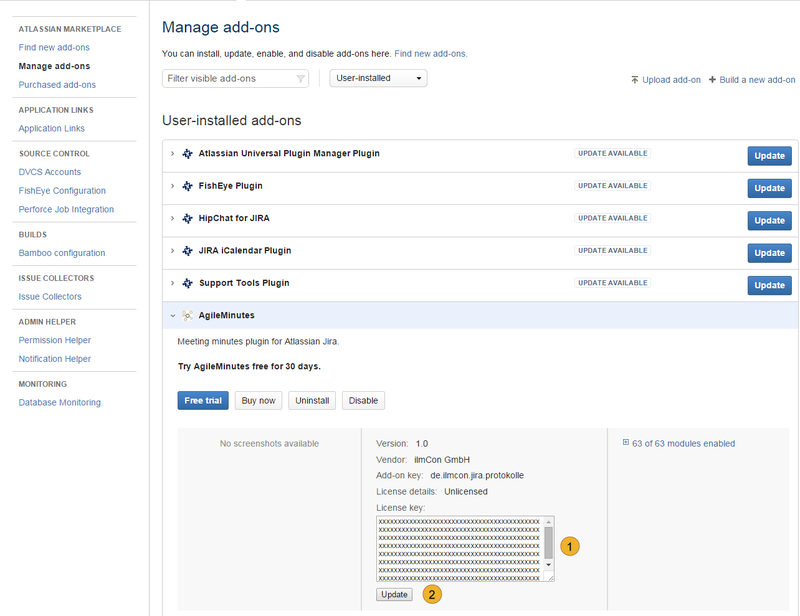 After succesful login AgileMinutes for JIRA begins to download. Enter your information and click generate license when you are redirected to MyAtlassian. 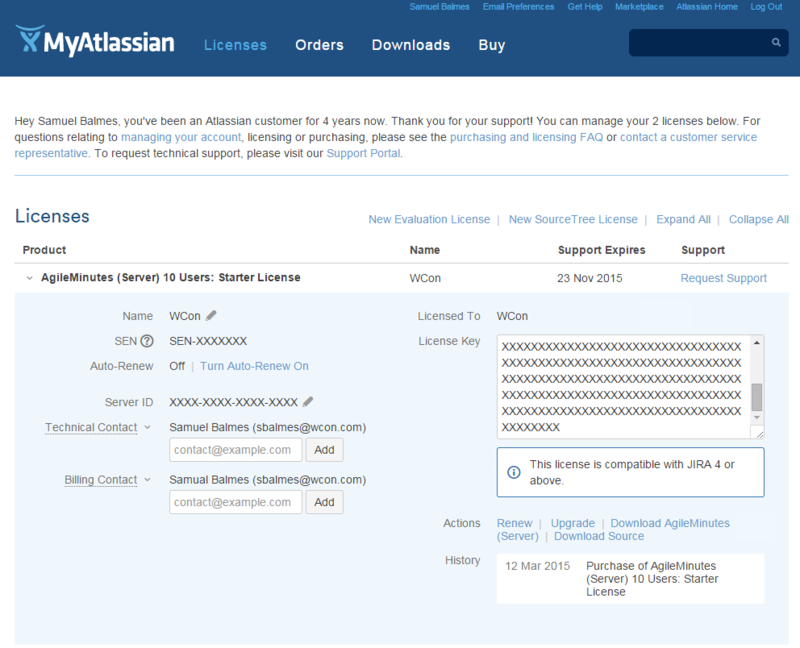 Log-in into your Atlassian account and you will find the category licenses on Atlassian.com. Here you get listed all the products you have bought. After the transaction was finished successful you copy the corresponding license key out of the licence key box 1. Now click the “Update”-Button 2 for refreshing.